STEAM stands for Science, Technology, Engineering, Arts and Math. 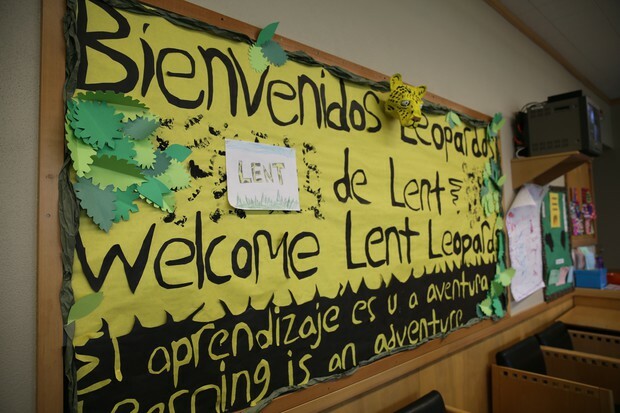 It translates as creative fun for the Class of 2025. 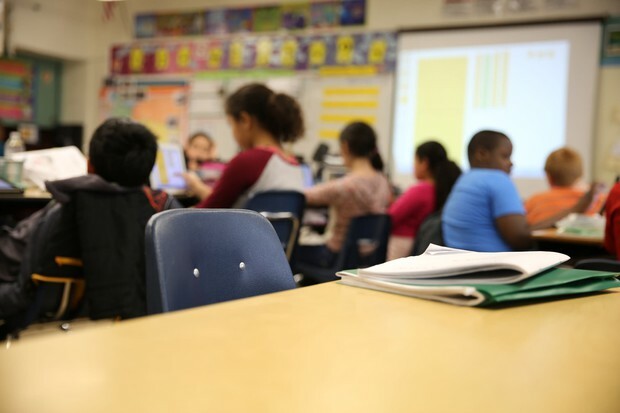 States have increased their focus in recent years on disorders that can interfere with academic success, like dyslexia. 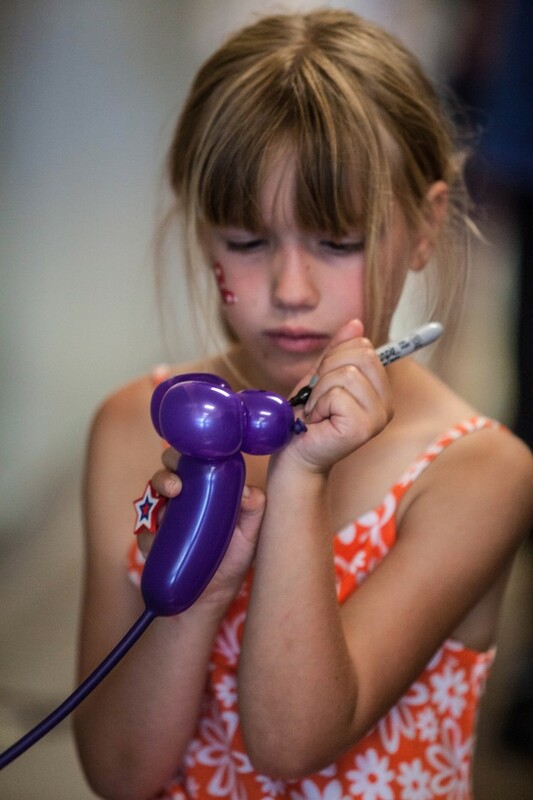 Meet "Class of 2025" student Shelby as she tries to become a better reader. 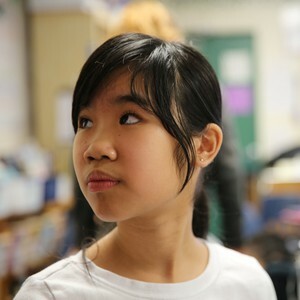 How should schools teach kids who are way ahead of the pack, like Class of 2025 students Anna and Johnathan? 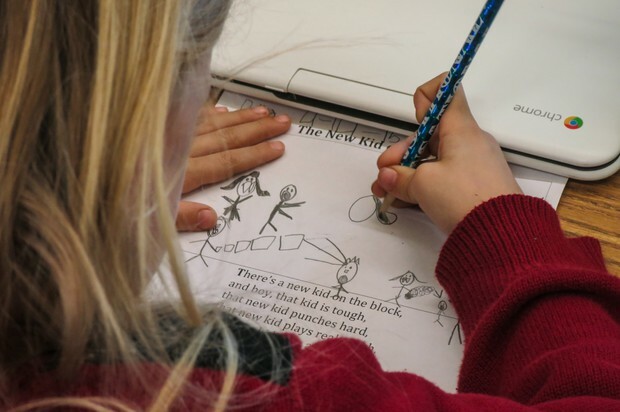 April 21, 2019 12:03 a.m.
"The Class of 2025" is an on-going reporting project focusing on a group of 27 students at Earl Boyles Elementary school in Portland. 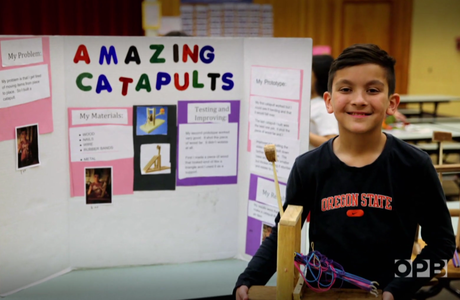 These students, currently in the third grade, are part of Oregon's goal to graduate 100% of students in the class of 2025. Dec. 05, 2018 2:12 p.m.
June 25, 2018 7 a.m. 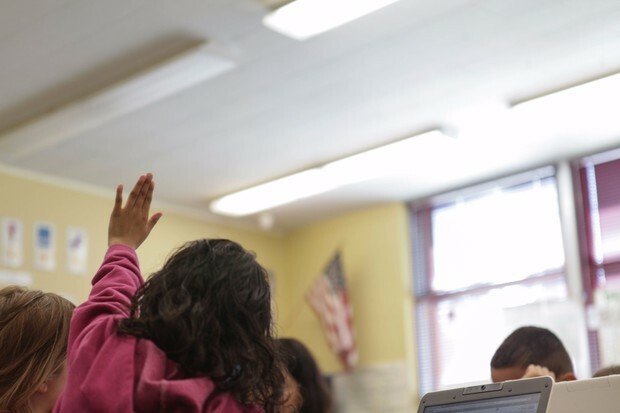 Educators have largely stopped holding back students who are behind academically. 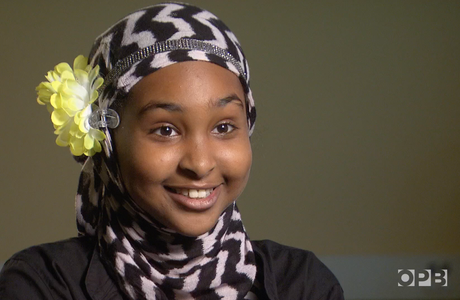 For some in the Class of 2025, that means a harder transition to middle school. Nov. 29, 2017 5:14 p.m.
Poor attendance can have a bigger effect on students with additional risk factors than on other students, according to research into OPB's Class Of 2025. Oct. 09, 2017 6 a.m.
What should schools do when a politically charged issue like immigration scares students? Is Your Child's Brain A Muscle Or A Machine? Oct. 02, 2017 6 a.m.
Is your mind more like a muscle that you can build? Or a machine that can only do certain things well? 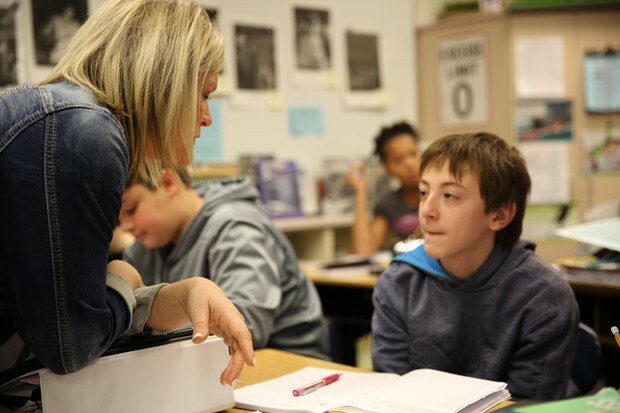 A new focus on mindsets is changing classrooms. Sept. 11, 2017 6 a.m.
Ashley has done a great job of learning English as her second language. But what about her first language, Spanish? Who Cares About Math When You Don't Have A Home? Sept. 05, 2017 6:30 a.m.
Fourth grade marked his first time back in a public school after being homeschooled in his family’s trailer. But partway through the year, Ethan became homeless. Aug. 22, 2017 12:32 p.m.
“Class of 2025" takes an in-depth look at the challenges facing public schools today, explored through the lives of the students themselves. July 11, 2017 4:33 p.m. 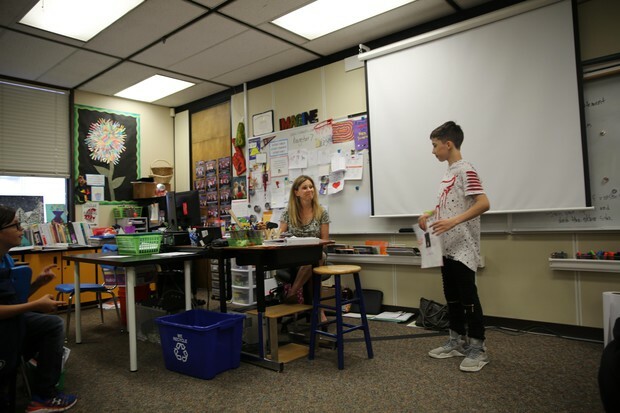 The Oregon Legislature wrapped up its work July 7 after five months of work that will affect everyone in Oregon — including public school students in the class of 2025. April 12, 2017 7:45 a.m. 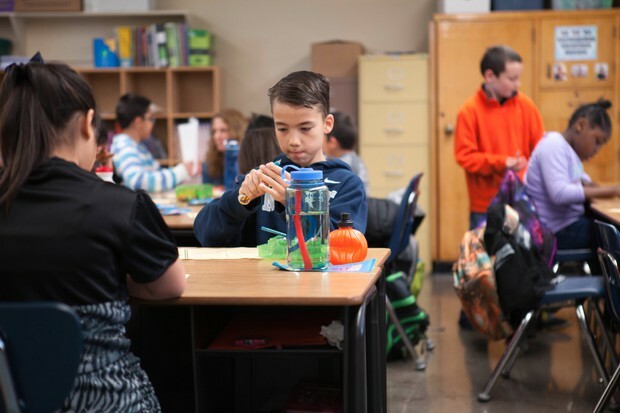 The relationship between home and school is evolving for thousands of Oregon children. Oct. 17, 2016 6 a.m. 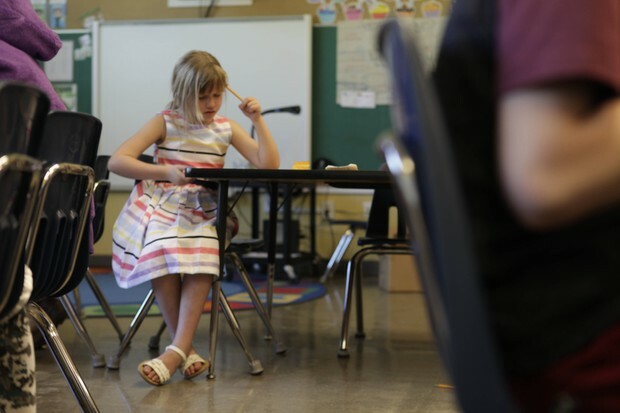 Learn about Oregon's changing approach to dyslexia through one of the students in OPB's "Class of 2025." Dyslexia can impact people in a variety of ways. When we read, the brain recognizes and processes words almost simultaneously. Generally, dyslexic people struggle to analyze words as they see them. 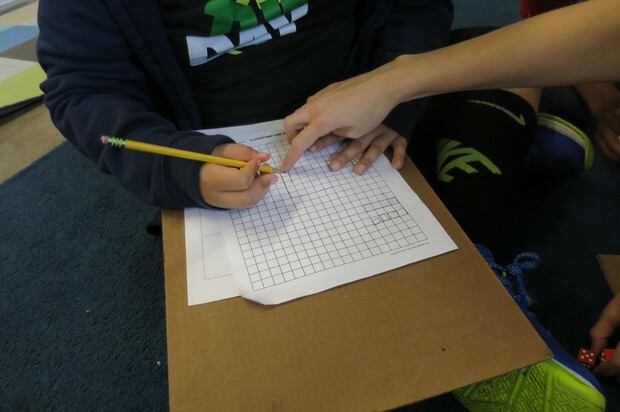 Sept. 06, 2016 8:30 p.m.
As the Class of 2025 enters fourth grade, we compare what kinds of homework students were accustomed to getting as third graders. It's a different answer, at different schools. 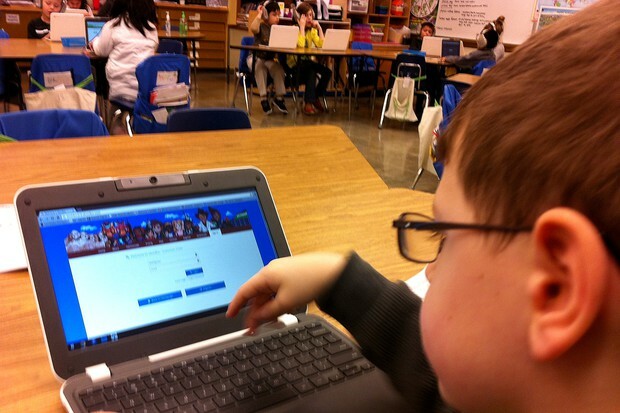 OPB has been following students in the Class of 2025 since they were kindergarteners. Now they're in third grade and that means taking state tests for the first time. Dec. 18, 2015 5:20 p.m. 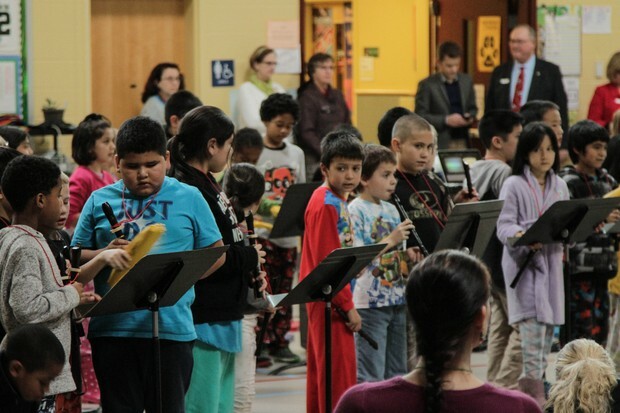 The school at the center of OPB's "Class of 2025" project celebrated its partnership with the Oregon Symphony at a winter concert in Southeast Portland Friday. Nov. 20, 2015 11:49 a.m. The David Douglas School District has gotten national recognition for its approach to language instruction. 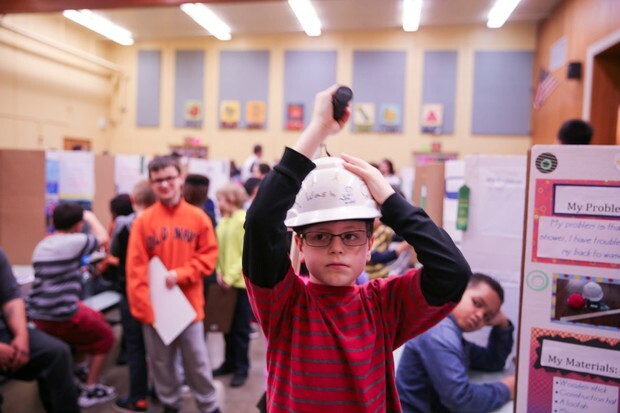 That includes OPB's Class of 2025 main school, Earl Boyles Elementary. 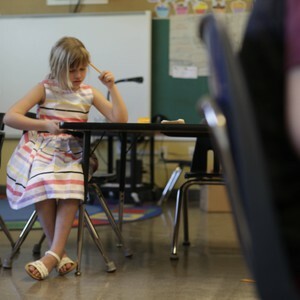 June 27, 2015 6 a.m.
May 04, 2015 9:49 a.m.
"Class of 2025," OPB's occasional series following a class from kindergarten through high school, examines how preschool is a 'game-changer' for later academic success. March 30, 2015 1:01 p.m. 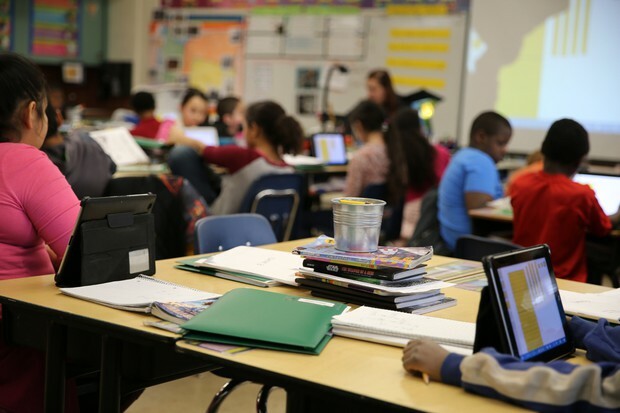 Given the diverse needs of their classrooms, teachers at Earl Boyles Elementary School came up with an approach to target instruction to students' individual needs, relying heavily on technology. In short, teachers have become video producers. 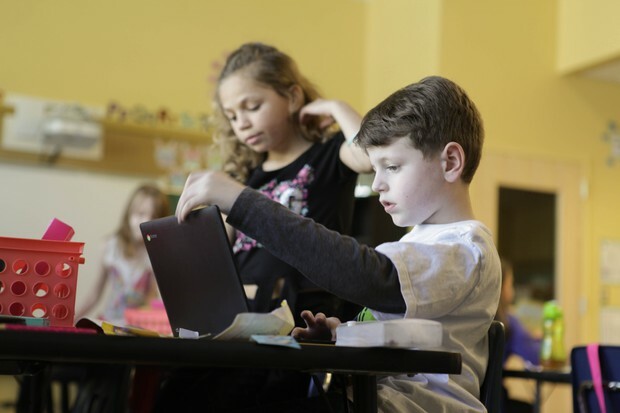 Oregon leaders have promised to ensure that every child graduates on time by 2025. 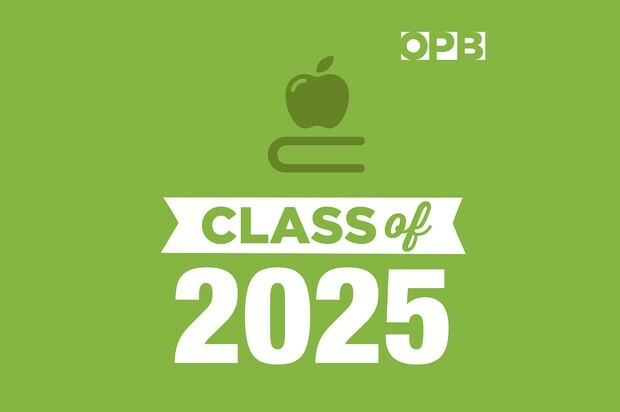 OPB is following a group students from now until the year 2025. Learn more about the project, or comment here. This project is part of American Graduate — Let’s Make It Happen! — a public broadcasting initiative to address the drop out crisis, supported by the Corporation for Public Broadcasting.